My niece was turning 14 and I wanted to make her something special. 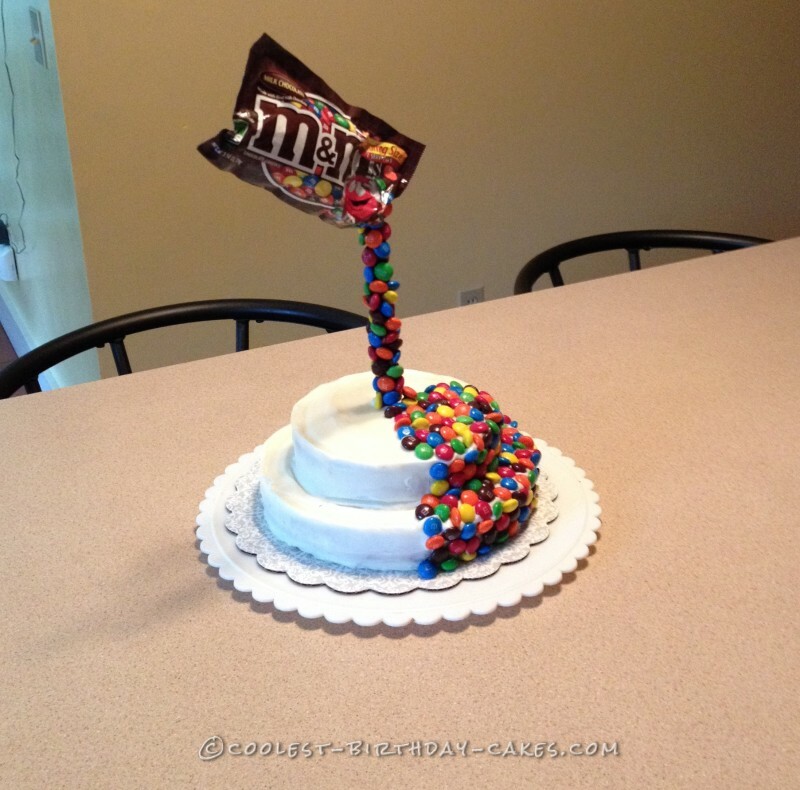 I had seen this M&Ms anti-gravity cake online and decided to recreate it. It was by far the easiest cake I’ve made, but the coolest looking. I made a two layer 9″ cake, frosted it white icing, and then chilled it in the fridge for a bit. With a toothpick, I outlined the area on the cake that I wanted to fill in with M&M candies. I then inserted a wooden dowel into the middle of the cake and filled in the outlined area with M&Ms. Once this was done, I melted dark chocolate and dipped the ends of individual M&Ms into it. Starting at the bottom, I attached the M&Ms to the dowel going all the way up to about 1/2″ from the top. Once that was done, I snipped off the end of an empty medium sized M&M bag and inserted some cotton balls into it. That made the bag look full. Finally, I dabbed some melted chocolate onto the top of the dowel and inserted it into the open bag. 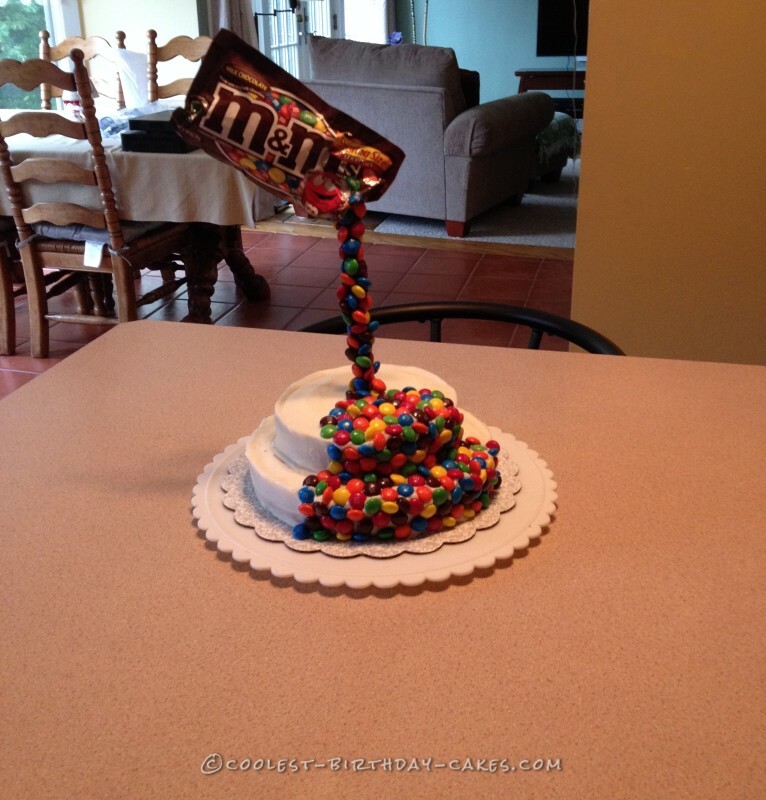 I tilted it to look like the M&Ms were being poured out of the bag onto the cake.